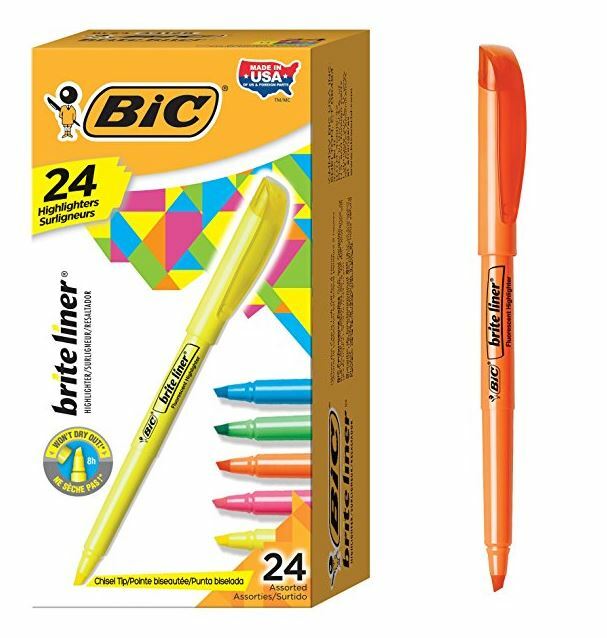 Today ONLY prime members can get this BIC Brite Liner Highlighter, Chisel Tip, Assorted Colors, 24-Count on sale for just $3.99 when you purchase this as an add-on item (Retail $11.99)! With three kids this will have me back to school ready! Shipping is free with your $25 purchase.